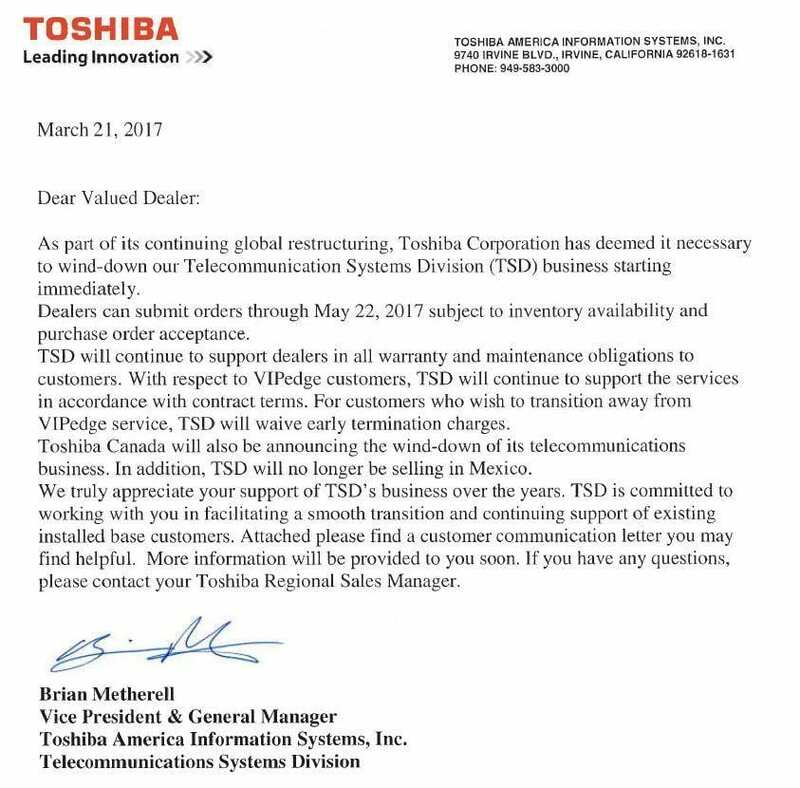 Dealers were informed via letter on March 21, 2017. Toshiba provides us an excellent example of the product life cycle … or is the industry life cycle? The decision is both surprising and not at the same time. 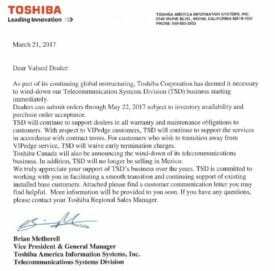 Toshiba sales have been declining for some time and the company has become far less visible and innovative than many of its competitors. It is a bit surprising they didn’t sell the company, but perhaps there were no buyers. Toshiba made an excellent PBX that competed with small business systems from the likes of Panasonic, Mitel, and NEC. I remember clearly when the CIX platform (its first native VoiP solution) and VIPedge (UC) systems were introduced.